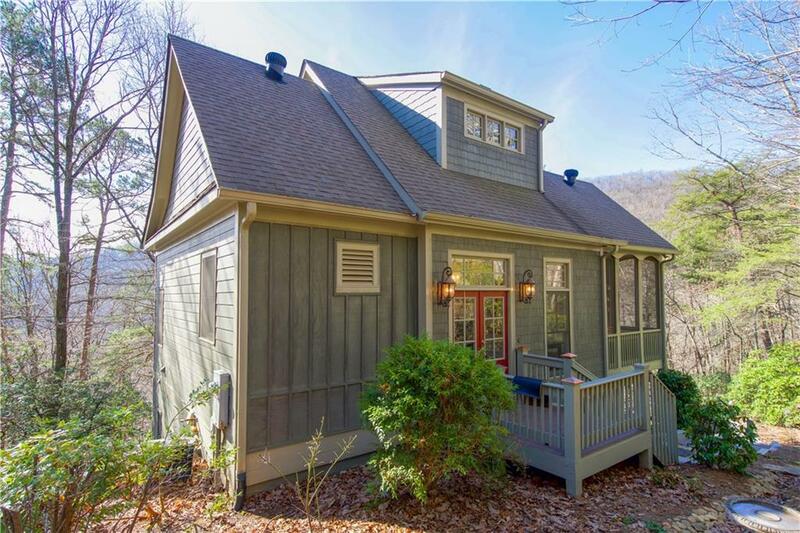 Tastefully decorated 3 BR / 3.5 BA cottage home with views. 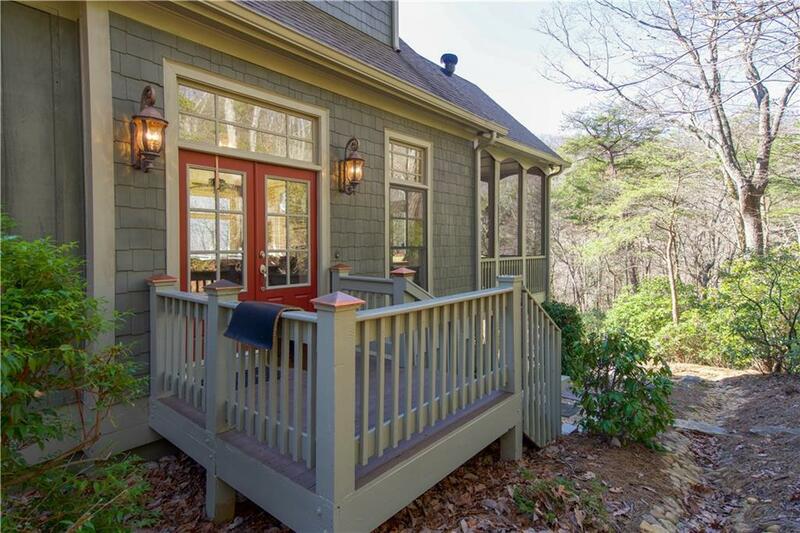 Craftsman design with hardwood flooring on the main level, and newly replaced upgraded carpeting in the bedrooms. 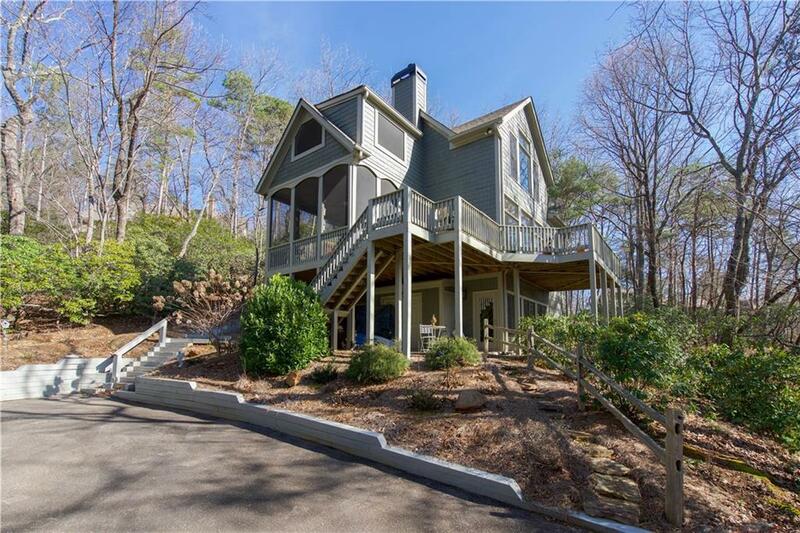 Floor to ceiling stacked stone fireplace, T & G wood walls, granite counter tops and breakfast island in kitchen. Master BR suite is located upstairs for maximum privacy with separate enclosed sitting room. 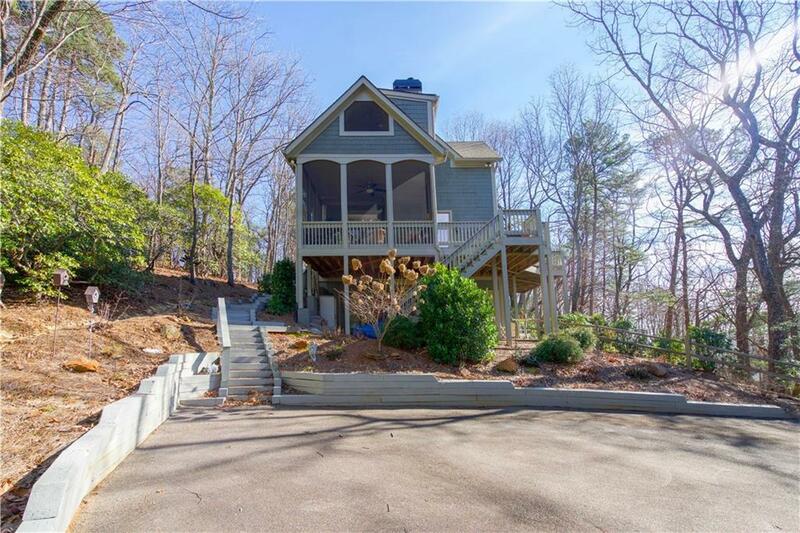 Wrap around deck with 2 covered patios, 2 screen porches and near nature valley trails.